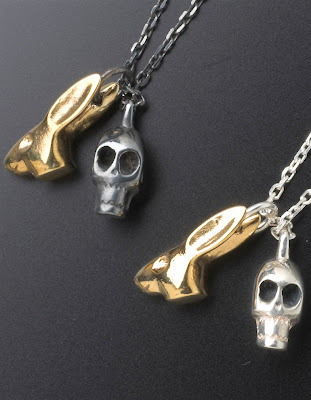 I'm lovin' this jewellery by Tina Lilienthal; she of the giant fruit and skull pendants you may have seen at Brazen Studios in the Merchant City. Her new line is even better, if that's possible. 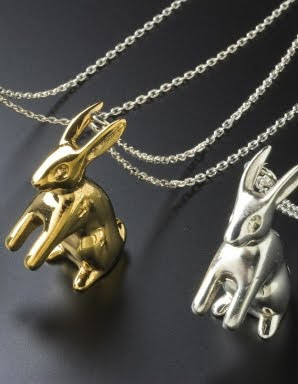 I have a thing for bunnies already, and she's distilled the essence of bunny into some simple but adorable designs. I like that she's mixed the bunnies with skulls as well - she even has a well thought out design inspiration - rather than just 'bunnies are cute.' Something about symbols of fertility and birth combined with the skull, which is obviously a symbol of death. Sort of an eros/thanatos thing. 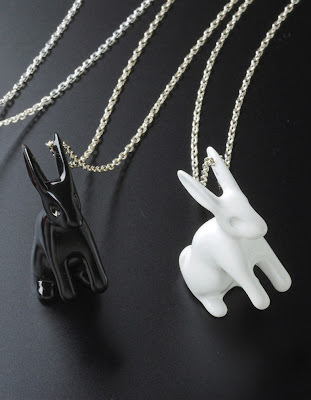 And who doesn't like black/white style dichotomies? But also, bunnies are cute. 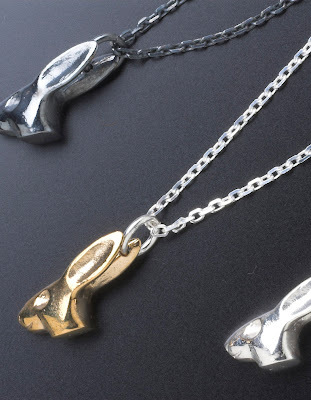 Tina's jewellery is available online at EC One and her own website, and in Glasgow at Brazen Studios.